Global changes, both political and social, have impacted the demand for manufactured goods. Output is expected to increase just 3.4 percent in 2017, and rising costs are resulting in lower margins. In order to reduce costs and improve margins, productivity gains and worker efficiencies are essential. 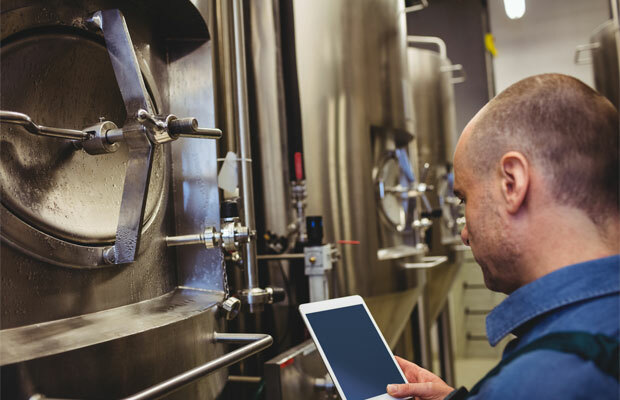 Manufacturing is one area where actionable insight is difficult to obtain and often gets overlooked as businesses focus efforts on other areas of the supply chain. Operating equipment more efficiently, better utilizing labor and reducing waste are examples of incremental improvements that yield results. However, the challenge is how to determine areas for improvement. A fully integrated MES allows manufacturers to not only accommodate emerging business expectations, but also to immediately reap the benefits of actionable data and intelligent presentation that will increase performance and positively impact the bottom line. In an effort to optimize utilization and unlock production capacity and competitiveness, an increasing number of manufacturers have engaged in continuous improvement initiatives; however, these programs can be challenging to execute without a system providing the bedrock for change/operational excellence. Four areas can make an immediate impact on day-to-day operations and enable the business to make smarter decisions: visibility, immediacy, accountability and consistency. The lack of operational visibility makes it difficult to define and measure the effectiveness of a continuous improvement program. Emerging issues go unnoticed, making it almost impossible to drive accountability of shop floor staff. Inefficient processes also affect the flexibility and agility needed in today's competitive environment, and will only serve to widen the gulf between the successful market players and the competition. Lack of visibility means the company cannot respond to customers as quickly to meet their needs. Full manufacturing visibility into production operations provides insight into inefficiencies, which is the first step in the continuous improvement journey. Outdated information is also an obstacle. Manual systems and automated data collection tools provide valuable information, but it tends to be stale by the time anyone can take corrective action. Immediate access to data is vital to make informed decisions. Without it, management can spend an inordinate amount of time on non-value-added administration. When the right information is presented at the right time to the right person, adjustments can be made to production in-flight, ensuring the path towards the targeted goal is maintained before it becomes too late. Access to that real-time data provides clear actionable intelligence, empowering shop floor teams with the information they need to make an informed decision. Shop floor ownership is fundamental to the success of a continuous improvement initiative, as operators have the greatest control over machine utilization. The innate knowledge of the shop floor can often be overlooked without concrete evidence of issues, but with a system that places a high emphasis on driving accountability within those teams, the shop floor becomes engaged and feels a true sense of ownership over their area of responsibility. On the shop floor, employees are dealing in events and making decisions based on experiences and knowledge. Without a sustainable method for delivering continuous performance feedback, workers cannot be held accountable for performance issues. 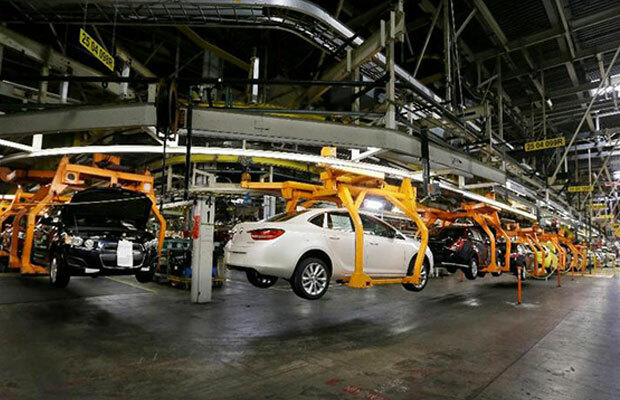 A centralized system records and time-stamps all activity on the production line. Such intelligent data will help workers identity problems and make corrections in the moment. MES raises knowledge -- which then raises awareness supported by hard evidence -- allowing shop floor workers to make better decisions, and allowing plant management to act upon the true picture of events being recorded on the shop floor. Continuous improvement activities and root cause analysis requires data be collected in a structured, consistent manner. All too often, businesses try to align improvement activities by amalgamating data from many different sources. Organizations need "one version of the truth," and having such information empowers the alignment of improvement initiatives throughout the plant network. By standardizing and recording information in a common and consistent manner, a holistic view of the production environment can be realized, and continuous improvement facilitators can constantly measure, implement and track success, and then make the shift to a culture of action, where improvement targets can be consistently reset as the gains are achieved. Production efficiencies gained from MES can unlock the possibility of increasing output and profitability, which could allow capital expenditures to be redirected in order to expand the business. An integrated system that spans the entire enterprise provides the basis for quality, continuous improvement and efficient maintenance. People are the most important and valuable resource a company possesses. The human element is what dictates true operational efficiency -- that is, if it can be optimally integrated into production practices. According to Gartner research, employee productivity and cultural adoption are becoming more important to those companies investing in MES, a recognition that the people on the floor are just as important as the software. Employees are expected to be active in collecting information, surfacing and resolving problems, and recommending improvements that could be made as a result. Unfortunately, and all too often, their insight is not acted upon and the impact on factory floor morale is considerable. When an employee feels that the tasks they are being asked to do have no positive impact on them and the way they work, they disengage from the entire process. This is the worst use of people, the strongest asset companies have available. These are the people who have the benefit of years of experience; they understand the issues and it is of the utmost importance that their innate knowledge is collected as data, transformed into information and converted into the knowledge that a company needs to improve operational efficiency. In a factory, it is the people that know "their" machines best, and the people who are best positioned to inform management on work cycle improvements. With a strategically developed, workforce-focused MES approach, everyone within a company -- from the factory floor through to mid- and senior-level management -- can contribute their expertise to the benefit of production and, ultimately, profitability. Maintaining the status quo on the shop floor is not an option. Action is necessary in order to stay competitive. Having visibility into manufacturing inefficiencies means businesses can be more agile in production and continue to meet production demands and growth targets in a structured, manageable way. Once the stream of data flows into a sea of knowledge, the strategic decision-makers will be better placed to identify historical trends, build analysis and make changes for the better. Quality data and a quality system to capture it are the keys to driving a collective culture to never stop improving, every hour, every shift, every day.